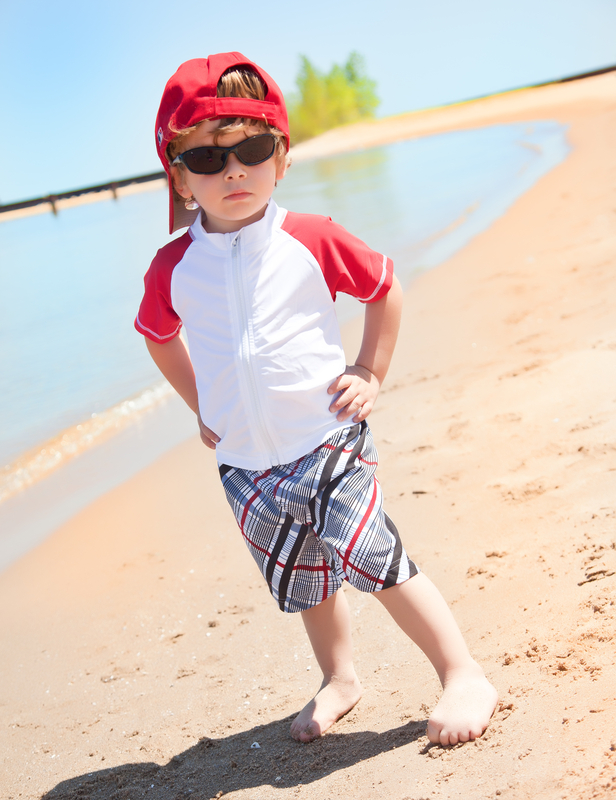 Swim shirts with SPF 50+ and a full length zipper make sun protection so easy for parents and kids. 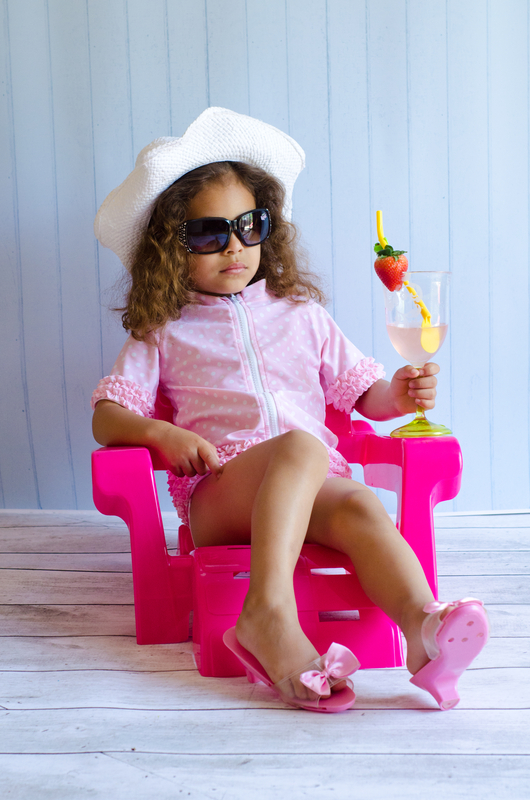 The beauty of SwimZip, the new sun protection brand from founder and president Betsy Johnson, is that this cute and fashionable swimwear is so easy to get on and off, it’s no longer a hassle to get the very best in sun protection for your child. And this beauty battles a beast: those super-harmful UV rays. 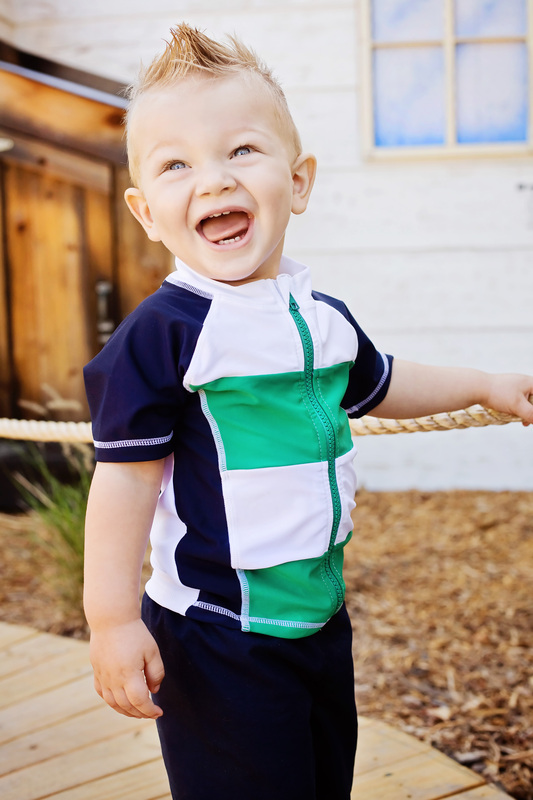 SwimZip is an easy-on, easy-off UV 50+ protective swim shirt for children, featuring a full front zipper, no-pinch zipper flap, sewn-in protective collar, tagless neck and flat seams for comfort. Oh, and did I forget to mention that SwimZip’s material is chlorine resistant? It is. My #1 goal is to keep children safe from the sun by getting a SwimZip into every child’s household around the world! The new 2012 collection is inspired by Betsy’s honeymoon last summer. “My husband and I vacationed on the island Moorea, right off Tahiti,” she tells me. “We spent hours on the beach, snorkeling and kayaking around the lagoon. I fell in love with the rich colors of the green trees and mountains, the multicolored blues of water, the reds and purples of the coral reef. I knew that the new SwimZip colors would have to be as rich and powerful as the colors I saw on our honeymoon.” And indeed, they are. When Betsy was 26, she was diagnosed with skin cancer, after years of playing outdoors while growing up in Kansas. “Just one significant sunburn as a child can have long term effects,” she says. 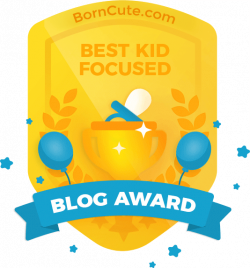 “I wish I would have listened to my Mom back then and lathered up with sunscreen.” Now, Betsy has made it a priority to educate children and parents about the dangers of UV rays. She offers information about UV awareness on the SwimZip website, too. Zip-A-Dee-Doo-Dah. The original idea for SwimZip swimwear came with a complaint. Yep – Betsy’s brother was always complaining his daughter Maryella hated taking on and off her swim shirt just as much as she hated having sunscreen applied to her body. So … “With a pair of scissors, I cut Maryella’s swim shirt down the front and fastened it back together with safety pins,” she says. “All of a sudden, the shirt was a breeze to take on and off. In fact, Maryella could do it herself.” (Cool name, don’t you think?) Thanks, bro – for inspiring Betsy to turn those safety pins into easy-peasie zippers. SwimZip perfectly blends my loves of fashion, function, health, and kids.